The place was perfect suited for my party. It could use some updating but other then that it had everything we needed. 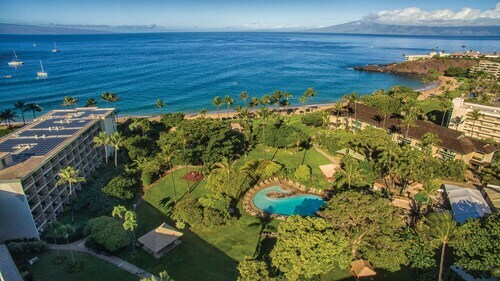 So you're thinking about a trip to Lahaina? If you want a place to hang your hat that's located near some well-known Lahaina attractions such as Kaanapali Beach, Whalers Village, and Napili Bay, just go to Orbitz, choose your travel dates, and voilà! Review the list of hotels and other accommodations to find those that are close to everything you want to see and do. 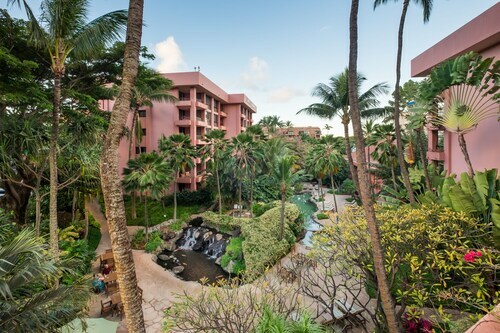 We make it easy to find a convenient flight to Kapalua, HI (JHM-West Maui), which is 6.1 mi (9.8 km) from the city center. Find the ideal flight in a flash by using the filters on our site to narrow down your search. 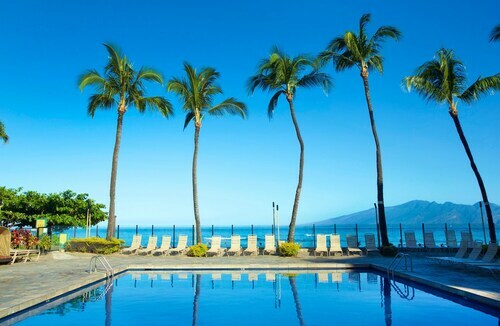 Take a dip when you stay at one of these Lahaina properties, popular for their pools. What's the Weather Like in Lahaina? On the plus side, this hotel is a beautiful location, w/ peaceful parklike grounds . . the rooms are slightly oversized . . most of the staff were very welcoming . . On the not so positive side, the property is pretty old and worn and dated . . the entry area, while perhaps authentic in terms of artwork and culture, was a lowish flat ceiling budget hotel feeling . . the patio dining was nice, w/ ok food but not premium . . there were tiny bugs in the room swarming if u left a beverage or food out . . Overall, this hotel was priced lower than it's surrounding competitors . . if your goal is to be on the beach for a lessor price, this hotel meets that goal . . but I wouldn't recommend this place, nor would I stay here again . . I thought this was a great property. Our condo was bigger than our apartment. The pool was nice and the sand bottom hot tub was awesome. KF is close to farmers market and the Abc Stores, a couple vending machines on site would have been nice though.